The Indonesian island of Bali hosts one of the world’s top yoga festivals from Mar. 24-31. Called the Bali Spirit Festival, it’s a celebration of music, dance, and well-being that’s open to the global community. The Bali Spirit Festival first got its start 11 years ago. 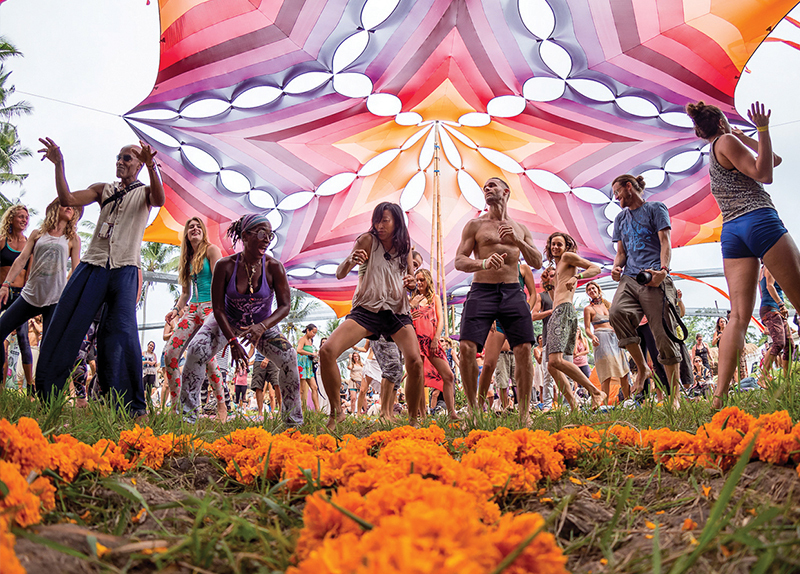 It has since grown to become one of the world’s premier gatherings of yogis, dancers, and musicians. Following bombings in 2002 and 2005, tourism in Bali had yet to recover when the first festival was organized in 2008. The vision was to build and support the community through yoga, music, and dance. The first festival was small, thrown together in just a few months. But in 2018, more than 5,000 guests attended the environmentally sustainable event. Festivities include daytime workshops, a dharma fair, and musical concerts at night. Virtually all styles of yoga are represented, including hatha, Anusara, qigong, and more. Dancing is similarly cosmopolitan, representing Bali, Java, India, West Africa, and other locales. The stated mission of the festival is to nourish the potential of individuals in order to create better homes, communities, and a better world. The festival takes place at the Purnati Center for the Arts, about 15 minutes south of Ubud. In addition to the yoga and music, there are two outreach programs. One focuses on HIV and AIDS education, and the other focuses on raising money for reforestation on the island. 1. What does the Bali Spirit Festival try to celebrate? 2. When did the first Bali Spirit Festival begin? 3. What are some events that can be expected at the festival? 1. Are you interested in going to the Bali Spirit Festival? 2. Do you think a strong community can be created through yoga, music, and dance? 3. How important is the education of HIV and AIDS? 4. 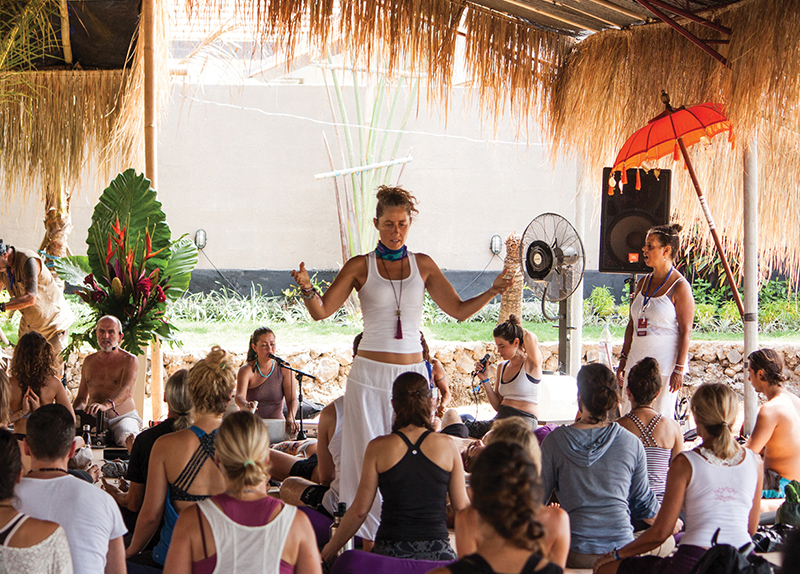 What kind of workshop would you attend at the Bali Spirit Festival?